Heave compensated 3.5t rescue boat davits across the RN Type 23 and 26 Frigate fleet. Houlder also acts as prime contractor for maintenance, upgrade and refurbishment of non-OEM military equipment. Typically, Houlder acts a maintainer when the item is out of warranty or the original manufacturer no longer provides service. In this capacity, Houlder has deployed teams of engineers globally, including into theatre, to support mission critical equipment. 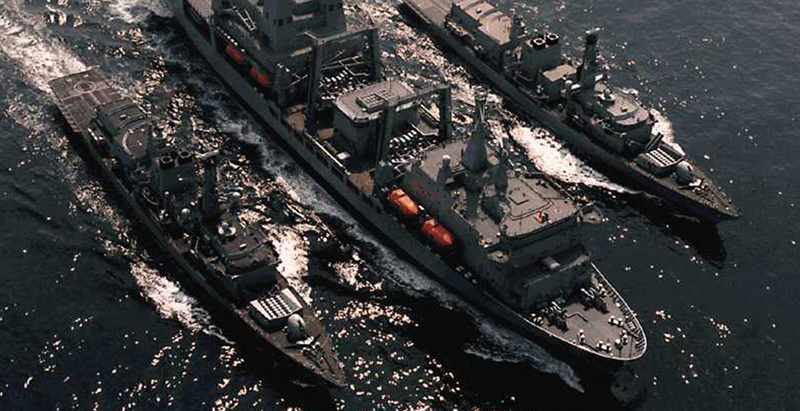 Houlder’s defence team is made up of former RN personnel with long proven track records of Service. The company maintains security cleared personnel and its IT systems are approved by the Cyber Essentials security standard. Houlder is also accredited by the JOSCAR defence industry procurement system.